Hot News: Can Robots Take Over The Commercial Cleaning In Perth? Despite the success of several companies in the home robot vacuum space, we haven’t seen many low-cost platforms designed for commercial cleaning scene, but a startup called Avidbots is tackling this idea, and they’ve got operational prototypes. The problem that these robots are really going to have to solve is the same problem that the Roomba struggles with: cleaning robots are not a substitute for a cleaning human. It’ll be far lass often than you would without a Roomba, but it’ll still need to happen because humans can visually identify dirt and manually maneuver cleaning equipment into places that robots can’t reach. You’ll certainly spend way less human time and labor on cleaning (which is the point, of course), but we’re not yet at the point where we can just leave robots completely on their own to perform tasks in human environments. Vacuuming is one of the few markets where robots have proven that they can be consistently commercially successful. There’s a good reason for this: vacuuming is a repetitive, time-intensive task that has to be performed over and over again in environments that are relatively constrained. Despite the success of several companies in the home robot vacuum space, we haven’t seen many low-cost platforms designed for commercial areas, but a startup called Avidbots is tackling this idea, and they’ve got operational prototypes. The problem that these robots are really going to have to solve is the same problem that the Roomba struggles with: cleaning robots are not a substitute for a cleaning human. A Roomba (to use a recognizable example) is a maintenance tool, designed to keep your floors cleaner, longer. But, no matter how often you use your Roomba, you’ll still need to occasionally bust out the upright vacuum yourself. It’ll be far lass often than you would without a Roomba, but it’ll still need to happen because humans can visually identify dirt and manually maneuver cleaning equipment into places that robots can’t reach. In the case of the Avidbots, you can see in the demo that despite their care with edging, they still miss some areas in corners, close to walls, near complex obstacles, underneath objects that should be temporarily moved, and so forth. Over time, those areas are going to get super dirty, and you’ll need to bring in a human to clean them. You’ll also have to have humans around to maintain the robots, cleaning them out, replacing fluids, and charging them if they don’t auto dock. You’ll certainly spend way less human time and labor on cleaning (which is the point, of course), but we’re not yet at the point where we can just leave robots completely on their own to perform tasks in human environments. Existing platforms in this commercial cleaning space are generally huge robotic cleaning behemoths, and I like Avidbot’s approach of making what looks to be (at least in their concept image) a robot that’s more like an existing cleaning platform designed for humans, except with added autonomy. This gives the robot much more flexibility, increasing the value for the user, who might need to spend an extra five minutes taking manual control to spot clean where the robot missed. Whether or not Avidbots is successful is going to depend heavily on how much money a business can save by transitioning from a human cleaning crew to a robot cleaning crew. Avidbots has some optimistic numbers on this: they’re planning on selling their sweeper robot for $7,500 and the scrubber robot for $13,500, or you can rent them for $4 and $6 per hour respectively, inclusive of warranty and service. If you straight up match these costs with the costs of a human cleaning crew you come out way ahead (saving, as Avidbots calculates, anywhere from about 50 to 70 percent over the course of a year), but this may not take into account any of the other issues that we talked about, including the need for humans to still come in and clean once in a while, robot maintenance, and so forth. 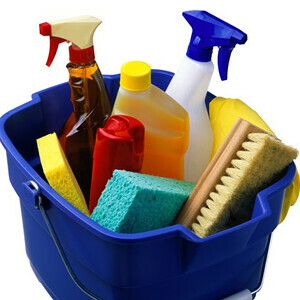 Overall, we as a local cleaning contractor, like this startup idea. It’s an area that seems like it can be automated and commercialized, and Avidbots is off to a good start with prototype robots that actually work. We’ll follow up on them once some real businesses start testing the robots and can tell us how effective (in terms of cost and cleanliness) they are.